With Amazon workers striking across Europe today (July 16) in protest of long hours, poor working conditions, and low wages, I wanted to pull together a blog post to talk about the nuts and bolts of developing a relationship with your local indie bookstore. I was lucky enough to attend Children’s Institute (Ci6) as an illustrator (on NOODLEPHANT, by Jacob Kramer with Enchanted Lion in January 2019) a few weeks ago in New Orleans. I went to a workshop aimed towards authors and illustrators that discussed best practices around developing a relationship with your local indie. I noticed that Robert Sindelar, the President of the American Booksellers Association board and managing partner of Third Place Books in Seattle (Amazon’s hometown) closed a letter by writing “where we spend shapes where we live.” I would argue that this attitude and approach extends to people who make content for kids; where we promote people buying books from shapes not only our communities, but helps to shape the communities of our readers. When you’re invited to do a storytime or a signing at an indie, you’re going to want to be as communicative as possible from the get-go about what you’re going to be doing. This includes including the publicist that you might be working with at your publisher. Will you have a presentation? Do you need any a/v (like a projector, a microphone)? Do you want to make large drawings on an easel? Do you need stuff to draw with? All of this needs to be determined in advance and can usually be handled through a conversation and a walk-through with the point person at the bookstore. Then once you have a plan, stick to it (like, don’t wildly improvise if it’s going to require the staff to scramble to accommodate you). Their store has a dedicated clientele who will likely come for your visit, but you still want to make it as easy as possible for them to put together something that will promote the event. Consider having a quick 2-line bio on your website, a photo of you, an image from your book, and a short description of your book that they can grab for flyers and social media promotion. Also, tell everyone you might know in the area to come to your reading; it’s a great chance to pull together people who love you and the things that you make together in one space to celebrate your work, and it also brings more--possibly new---people into the store. Not everything is going to work out without a hitch. Be ok with that and don’t get mad. Be ready to improvise. Will this turn into a drawing workshop? Sure. Introduce yourself to all of the staff in the store, and be sure to thank them. Often the job of setting up all the logistics so someone can come in and do a reading is pretty labor-intensive; sometimes it requires staff to stay there late and clean-up after an event. This work is for the most part going to be invisible to you. Acknowledge it. You can also show appreciation by buying something in the store, and sharing your gratitude through social media after the event. And a final hot tip: don’t talk about Amazon or Goodreads (which is owned by Amazon). Amazon is actively driving these people out of a job. On your website instead of an Amazon link to buy your book, consider linking to indiebound.org. I live in San Francisco where at times it can feel like you can basically live on the internet; you can stay in your apartment and order all of your needs through various apps, from food delivery, people putting together your IKEA furniture for you, cleaning your house, doing your laundry, coming over to give you a massage in your living room, and more. It’s really hard to get a sense of who your community is when sometimes it feels like someone else’s temporary playground. When I got the chance to talk to some booksellers at Ci6 I was struck with how many are deeply committed to the care and growth of their communities. Connecting to these people is not only a critical part of connecting to your readers on a local level, it’s also about connecting to people who value books and the community that books can contribute to. Special thanks to Summer Dawn Laurie from (Books Inc., San Francisco, CA), Shaina Birkhood (The Children’s Book Council, NY, NY), Teasha Kirkwood (Elliott Bay Book Company, Seattle, WA), Laurie Gillman (East City Book Shop, Washington DC), and Kenny Brechner (Devaney, Doak and Garrett Booksellers, Farmington, ME) for sharing their knowledge. 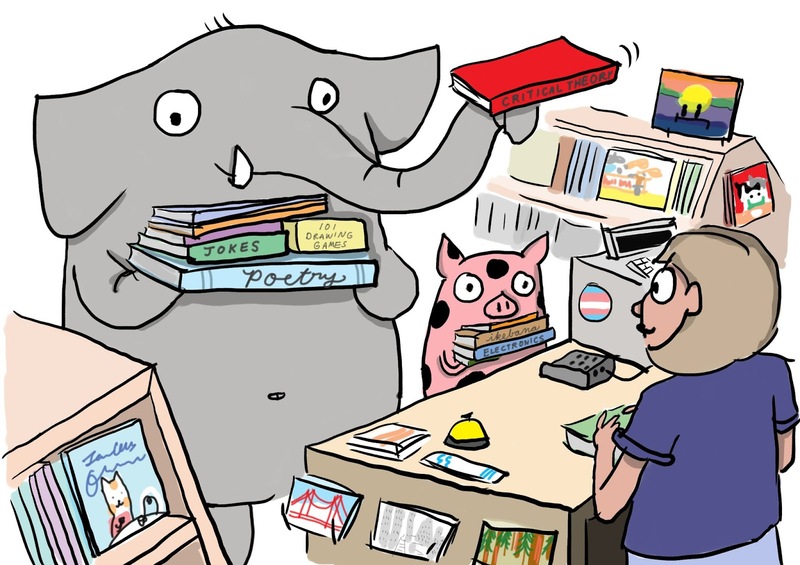 A warm wave to some (not all) much loved bay area indie bookstores: Charlie’s Corner, Books Inc., Green Apple Books, Hicklebee’s, The Reading Bug, and so many more. We’re so lucky to have you. K-Fai Steele writes, draws, and lives in San Francisco. 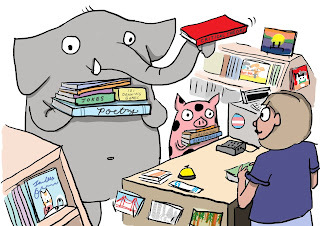 She has three books coming out in 2019: A NORMAL PIG is her author/illustrator debut (Balzer + Bray/HarperCollins Childrens, Summer 2019). 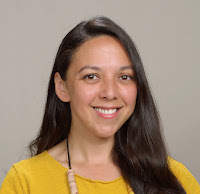 She illustrated NOODLEPHANT, by Jacob Kramer (Enchanted Lion Books, January 2019), and Old MacDonald Had a Baby by Emily Snape (Feiwel & Friends/Macmillan, Fall 2019). She's on twitter (@kfaisteele) and on instagram (@areyouokfai).